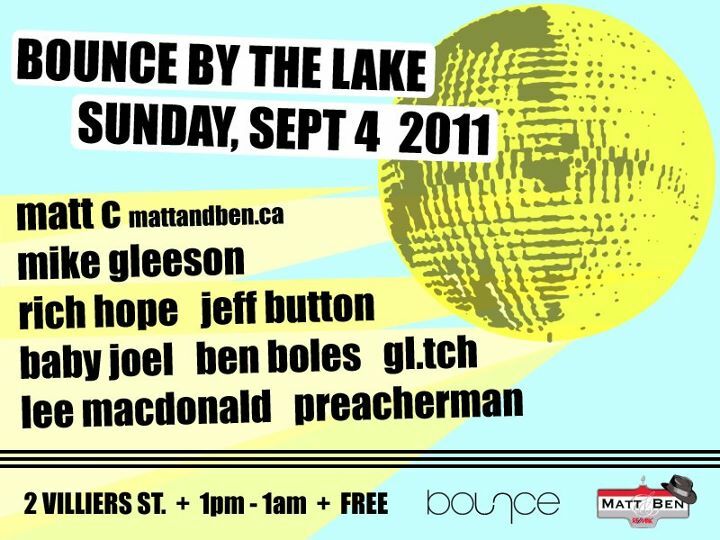 Stoked for BOUNCE by the LAKE – The Disco Bizness | Hot Jambalaya! Y’all know I’m no stranger to the world of disco fun and I’m stoked! I’m opening the 12 hour FREE event from 1-3pm and over the course of the day/night you can probably expect choice cuts of…..
By no means is this an exhaustive list….just something to get you primed. Finally, after dark you’ll be treated to a live vj show by St. Catharines-based artist Marinko!